An Istanbul court sentenced 75-year-old Ali Şahin, who was accused of insulting Turkish President Recep Tayyip Erdogan, to read and summarize 24 books, including an Erdogan biography, the Oda TV news website reported on Sunday. Şahin was investigated by an İstanbul prosecutor for allegedly insulting Erdogan in a coffeehouse, a charge he denied and claimed to be slander. The man was questioned by the police then released on probation. During a visit to the probation bureau, Şahin learned that he had been sentenced to read and write summaries of 24 books listed by the İstanbul 8th Criminal Court of Peace. 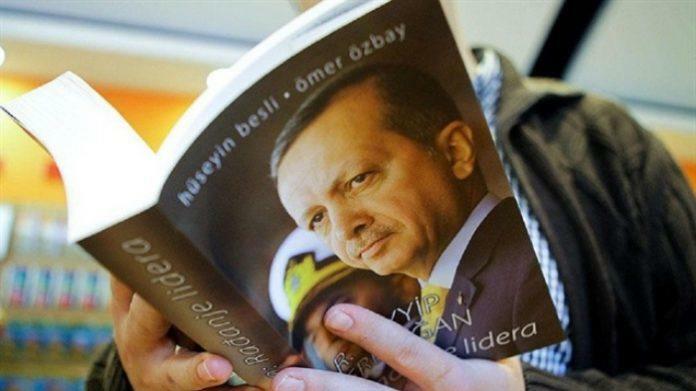 The list included, besides several Turkish and international literary classics, Islamist and pro-Erdogan publications by people such as Faruk Köse, a columnist for a daily with radical Islamist views, and pro-government journalists Abdulkadir Selvi and Turgay Güler as well as “The Birth of a Leader,” a biographical work about Erdogan. “My lawyer has objected to the decision. Nevertheless, I’ll procure these books and start reading them. I’m 75. I don’t want to deal with stuff like this,” Şahin said. Several jurists told Oda TV that the court’s decision goes against European human rights legislation and relevant provisions of the Turkish Constitution in that it compels a person to read publications with political narratives that he doesn’t believe in, a clear violation of the principles of freedom of belief and respect for private life.